SANDLAKE - Sand Lake in south Tillamook County... is not often associated with sustainable tourism. But the area's Sandlake Country Inn is the only bed and breakfast on the Oregon coast - one of just five statewide - to be recognized with a "green" certificate from the Oregon Bed and Breakfast's Guild. The inn, located a half-mile from the Sandlake Store down Galloway Road, was built with timbers recovered from an 1890 shipwreck. On Christmas morning 118 years ago, the ship Struan, carrying a load of bridge timbers from Canada to Australia, washed ashore just south of Cape Lookout. Local families scrambled to gather some of the million-plus board feet of planks to build homes and farm buildings, said Paul King, grandson of the home's original owner, W.C. King. The home was converted to a bed and breakfast in 1989 and purchased by its current owners, Diane and Ron Emineth, in 2001. Diane Emineth said she is pleased that the inn is on the Oregon Historic Registry but even more excited about its environmentally-friendly certification, awarded December 2008. "Most people don't choose lodging because it's 'green,'" she said, "but they're usually very happy when they find out it is." Among the steps taken by the couple to ensure environmental friendliness is to recycle everything possible. Emineth was quick to point out they haven't had trash pick-up for six years. Instead, they compost, feeding leftover oats and grain to neighboring horses and taking garbage to the transfer station about once a month in the busy season. The glass decanters in the guest rooms that hold shampoo, conditioner and soaps add to the inn's elegance, but more importantly, said Emineth, they substitute for other hotels' plastic mini-bottles that end up in guests' wastebaskets. Other amenities at the bed and breakfast include a private deck for each of the three rooms (there is also a guest cottage) and a private jacuzzi in each bathroom. "About 80 percent of our stays are people celebrating either honeymoons, birthdays, anniversaries or some sort of special occasions," said Emineth. The inn was recognized by Inn Travelers magazine as the publication's "most romantic hideaway" in 2005 and again in 2006. Emineth said the couple's inn also has been cited in the Best Places to Kiss Northwest travel guide and Best Places to Kiss Cookbook. Emineth said room reservations are necessary in the summertime and recommended year-round. 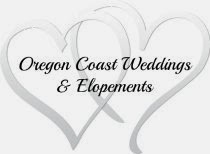 They can be made by calling (503) 965-6745, toll free at 1-877-726-3525, or online at www.sandlakecountryinn.com. 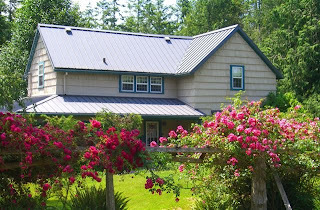 Emineth is organizing an aspiring-innkeeper seminar April 5-8. Information is available at www.bedandbreakfastseminars.com.